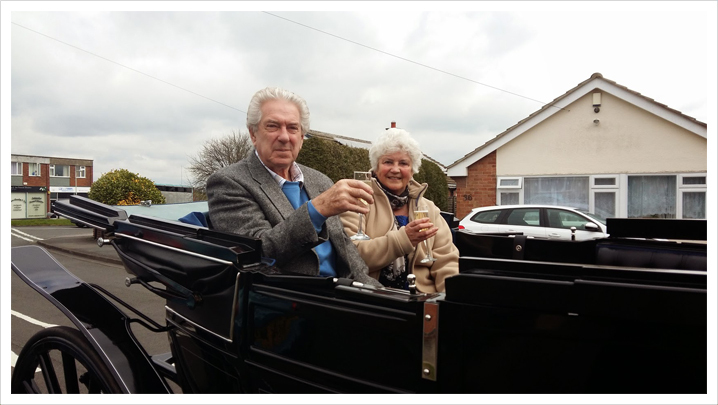 Show them how much you love them with a personalised ride in one of our horse drawn carriages; an ideal way to mark a big birthday, milestone anniversary or special occasion. 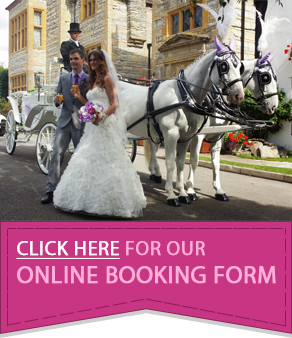 Whether you want to sweep them off their feet and take them for a carriage ride around your chosen area, treat them to a horse drawn journey to a special location or have something a little different in mind, we can work with you to create the perfect, tailored package. The personalisation doesn’t stop with the ‘when’ and ‘where’. 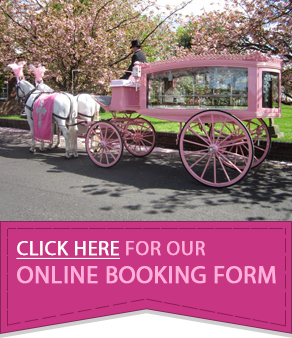 We have a range of carriages available to choose from including traditional Landau coaches and princess Cinderella carriages allowing you to choose the perfect style to suit your loved one. 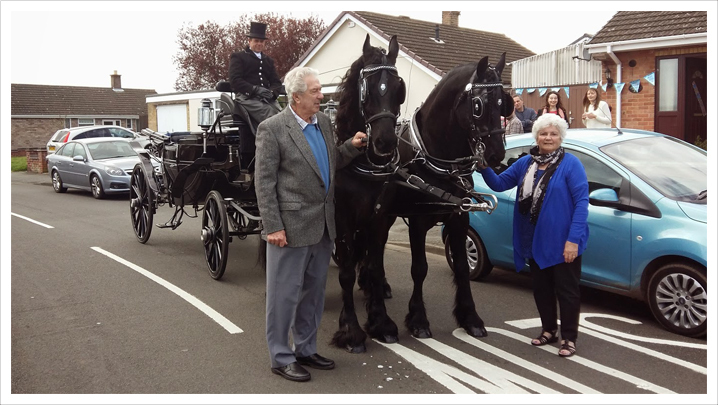 With your carriage chosen, you can then decide whether you would like to be led by our beautiful black or white horses - available as a modest pair, traditional team of 4 or 6 in hand turnout. 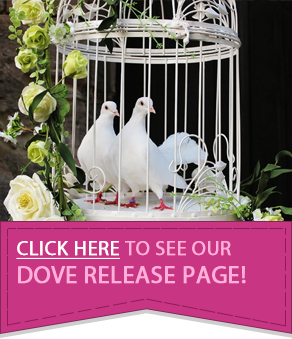 For something extra special, we can dress the carriage and horses in ribbons and plumes in your choice of colour. To ensure the best horse drawn experience, we make sure that our Coachmen also look the part. Dressed in formal attire and top hat, we do our utmost to make sure you have an experience to remember. Prior to your horse drawn experience, we will have a ‘dry run’ of the route to ensure that our Coachmen are familiar with the journey and your dream carriage ride goes without a hitch.